1) Tools -> Internet Options -> Languages. 2) Add English language to the list and move it up to the top of the list. 4) Press F5 (Refresh) to apply changes. 1) In the main menu click Options. 2) On the Content tab in Languages field click Choose. 3) Add English language and move it up to the top of the list. 5) Press F5 (Refresh) to apply changes. 2) Set Default language -> English -> Done. 3) Click Logout on the main toolbar and Login again. There is nothing when going to the E-Catalogue site. - At the stage 2 “Information on contractor (organization)” of logging in procedure , after clicking the button Next an error emerges “The company with this ITN already exists”. 1. You have already tried to log in, but have not completed the procedure. In this case you should follow the link http://catalog.niaep.ru/enovia/emxLogout.jsp and log in again. 2. 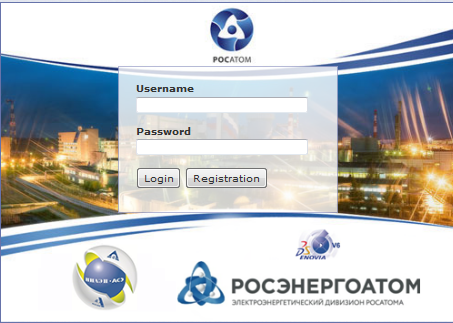 Your company has been logged in to the E-Catalogue by another company as a partner. In this case you should contact the technical support specialist. There is a picture on the page when entering the E-Catalogue. On the toolbar go to the menu Service and select Settings in a dropping window. After selecting Settings a pop-up window Properties emerges. Go to the tab Main page there. Select Libraries from the tab and click the OK button. After set up procedure update the catalogue Home page. The page will be updated and new catalogue libraries will become available. When uploading files from the catalogue in Internet Explorer browser a box for selection of a place to save files does not appear. Particularly, this error emerges at company registration procedure or while downloading cards to Excel. For troubleshooting perform the following setting: Service>User’s properties> Safety tab> Another> Automated requests for files uploading: On. «jre-6u14-windows-i586» for Windows. To install the software JRE 1.6.0_14 address system administrators or technical support of your organization. There is no text when viewing Forums on works with Requirements. Viewing of Forums in a Requirement is only available in the Internet Explorer browser.